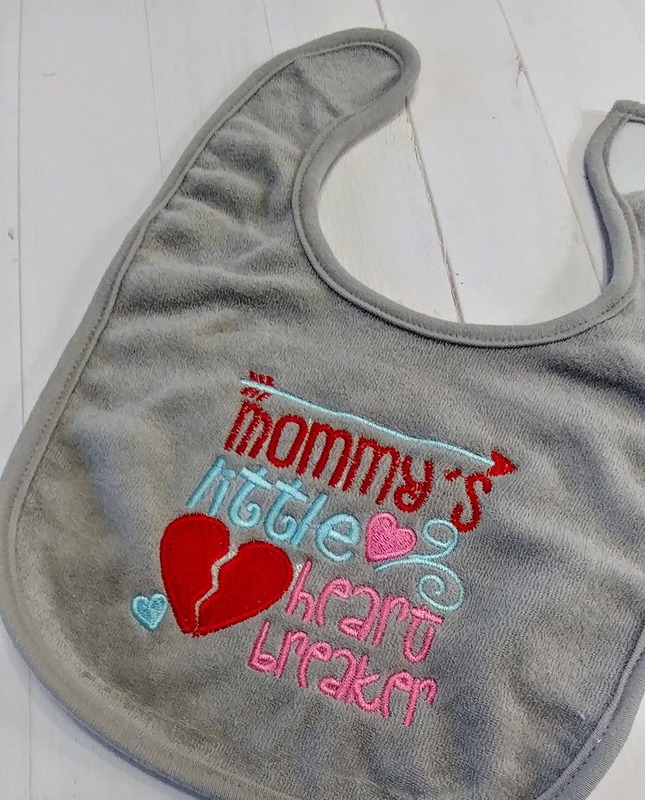 Valentine's bib expressions for girls. 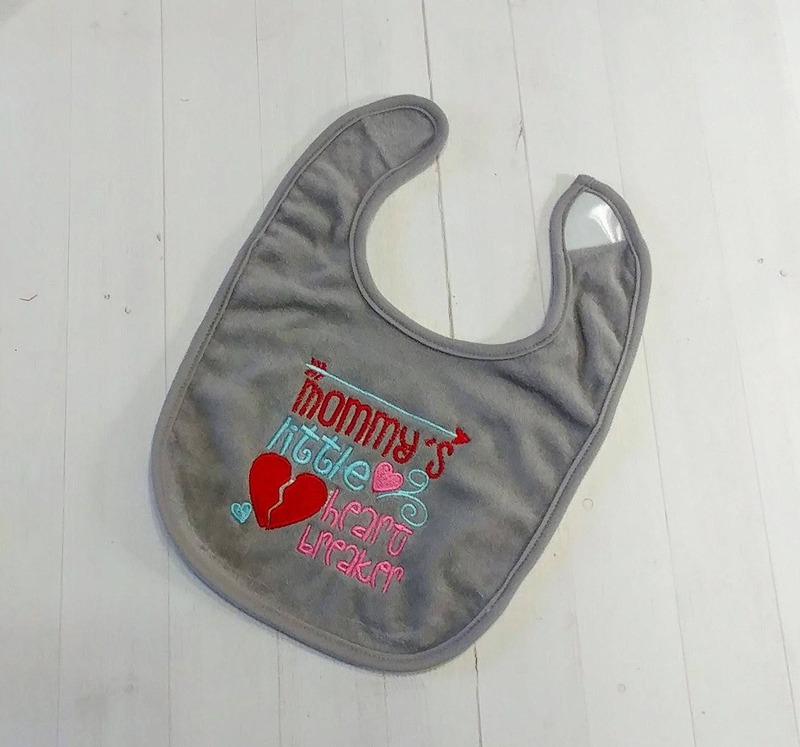 Gray terry cloth bib embroidered with a cute phrase "Mommy's little heartbreaker". Like this phrase but want it on a onesie or a t-shirt? We can do that too. Send me a message of what you need.